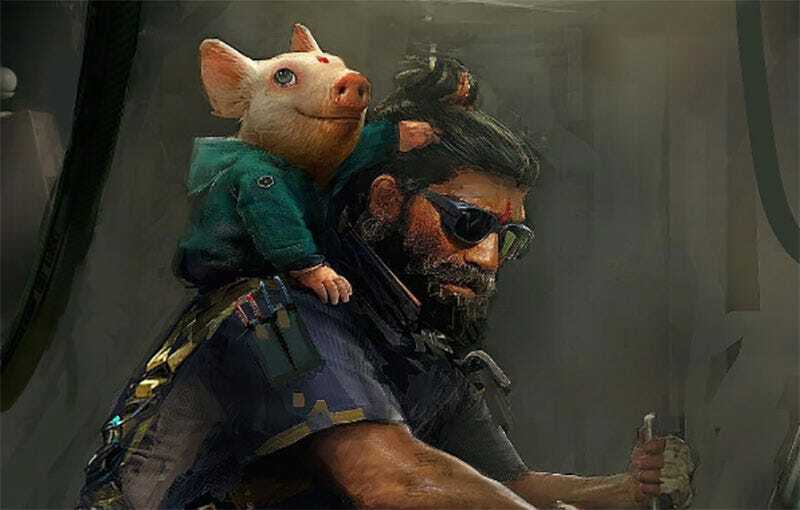 Beyond Good & Evil 2 was first announced in May 2008. That was over eight years ago. Now, today, in October 2016, series creator Michel Ancel says the game is “in pre-production”. OK.
We posted last year about how things were looking grim for the sequel to the 2003 cult classic, with rumours of the game being practically abandoned. That combined with, you know, the fact it’s been seven years of nothing since the game’s teaser trailer has left most fans convinced it simply isn’t happening, and that getting on with their lives is maybe the best thing to do. So here comes Ancel to get you back on the hook. Having spent the last few days posting images (like the one up top) that looked a lot like BG&E2 concept art on his Instagram account, he commented today that the game is “in pre-production”, and for fans to “stay tuned!”. The former, we assumed to be the case back in 2008, since that’s literally what Ancel said at the time. The latter is something a lot of people did for a very long time before giving up hope. It’s going to take more than some concept art to convince them to get back on an abandoned hype train. Once bitten, twice shy and all that. Oh who am I kidding people will wait until the ending of the world for this game.